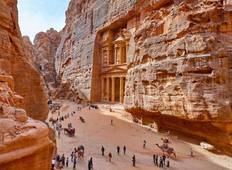 "Jordan is amazing and it was perfectly presented by Mustafa. Between the sites and..."
"We enjoyed this tour. 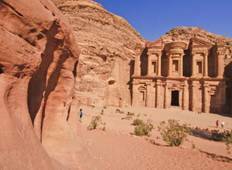 I got to see a lot of Jordan and experience the people and..."
"I am usually a do-it-yourself kind of traveler, so taking a five-day tour package..."
"We have been on a Jordan 11 days tour with Booking Tours, and I would definitively..."
"pace was great and enough opportunity to tout and rest. Hotel accommodations in Amman..."
"We had a great time with Sami as our guide. He was funny, personable and wanted to..."
"The local tour company who coordinated this trip is actually not Encounter Travel..."